Are you looking for a way to make Easter more meaningful this year? 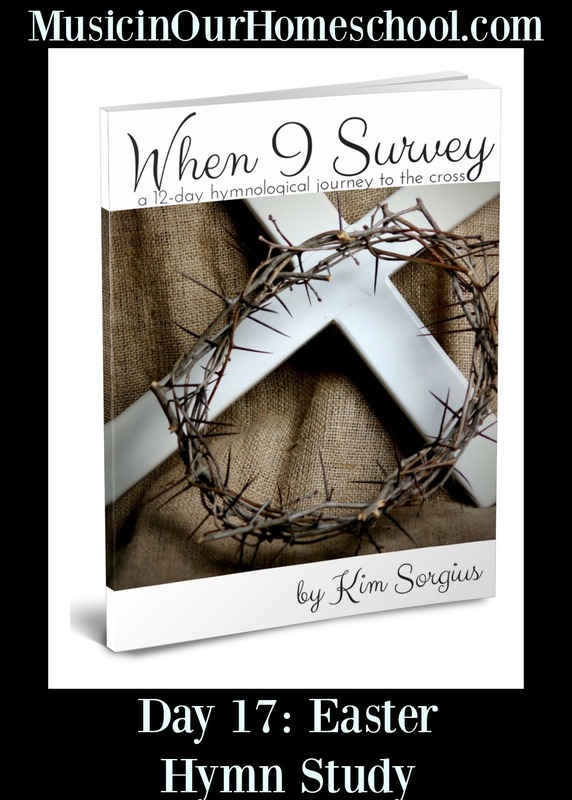 I love these hymn studies by Kim Sorgius of Not Consumed. What you’ll do is learn the story behind wonderful Easter hymns while doing some fun activities. It’s perfect for family devotions, personal quiet time, or your homeschool Bible time! When I Survey is a 12-day Easter hymn study. Do your kids know these great hymns of the faith? I know that a lot of younger people don’t because churches aren’t singing them as often. 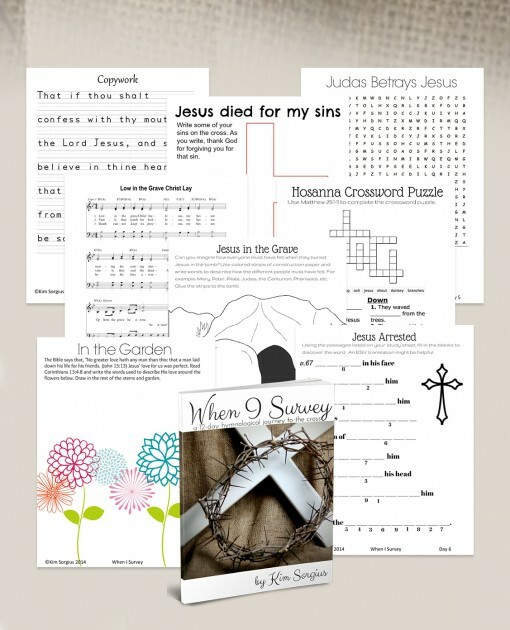 Students and families will dig into the Bible and then support their learning with the study of one of 12 hymns. You can certainly go slower than 12 days, or take longer! Use all the resources available in it or just a few! Not Consumed also includes hymn studies for hymns related to Valentine’s Day, Thanksgiving, and Christmas. You can purchase them separately or as a group hymn study pack.